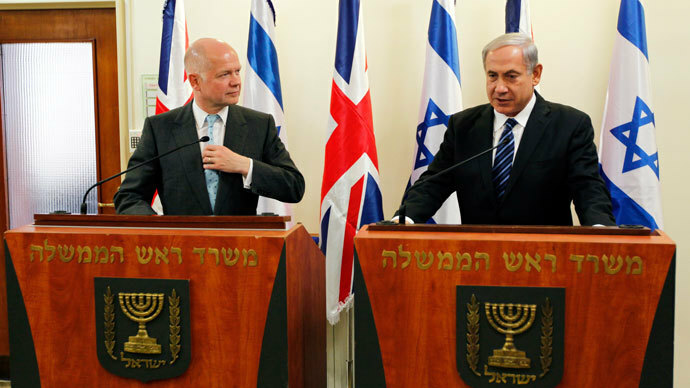 Britain will “discourage” Israel from trying to undermine the nuclear deal with Iran, UK Foreign Secretary William Hague says. Israeli media criticizes PM Benjamin Netanyahu for reacting over “personal failure” as he refuses to be “bound” by the deal. “We would discourage anybody in the world, including Israel, from taking any steps that would undermine this agreement and we will make that very clear to all concerned,” Hague told the UK parliament on Monday. But Netanyahu’s statement of Israel being “by itself” and ready to act at any moment in defiance of the peaceful international agreement has prompted media criticism at home. “This happened on his watch, and it happened despite the fact that he turned this fight into the battle slogan of his term. But in his position, personal disappointments cannot go to a person’s head,” wrote the newspaper’s chief columnist, Nahum Barnea. Another writer at the same paper, Alon Pinkas, agreed with Netanyahu’s viewpoint on the deal, but accused the prime minister of “behaving oddly in the international arena,” saying such rhetoric “destabilizes” the US-Israeli alliance and thus only weakens Israel. “Do insults, aspersions, accusations and complaints advance or harm the country’s national interests? Is perpetual petulance and in-your-face bellyaching really a constructive form of diplomacy?” wondered journalist Chemi Shalev, writing in Haaretz. The Haaretz’ correspondent argued that despite the Israeli Prime Minister’s tone, most of the world’s Jews were “likely to welcome” the peaceful deal aimed at scaling back the Iranian nuclear program in return for limited easing of sanctions against Iran. Netanyahu “has lost this battle” and has no choice but to “swallow hard and accept the deal,” stressed another Haaretz writer, Amos Harel. 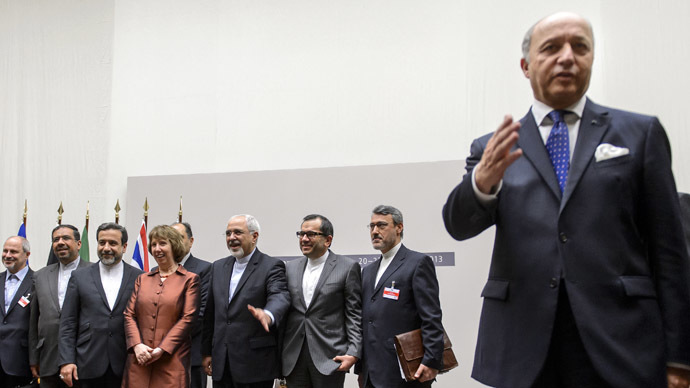 The landmark deal on the Iranian nuclear program was reached between Iran and the P5+1 group – Russia, China, the US, the UK, France and Germany – on Sunday in Geneva. 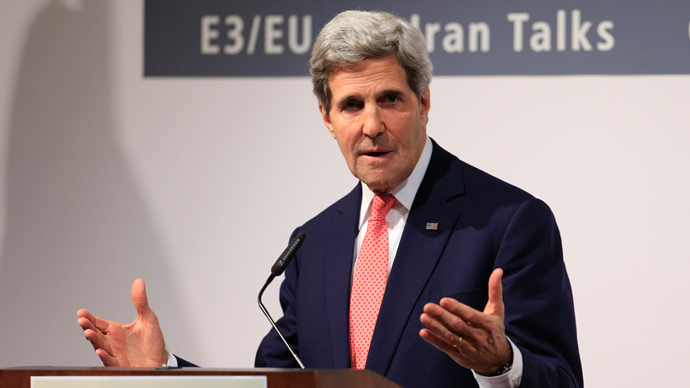 As part of the deal Iran has been obliged to halt the enrichment of uranium above 5 per cent, dilute its store of 20 per cent-enriched uranium, and to cease construction on the Arak nuclear reactor. Iran also agreed to provide the IAEA inspectors with daily access to the Natanz and Fordo sites. In return, Tehran will be allowed access to part of its funds frozen abroad as a result of sanctions. Saudi Arabia on Monday cautiously welcomed the nuclear deal on Iran. “If there was goodwill, this agreement could represent a preliminary step towards a comprehensive solution to the Iranian nuclear program,” Saudi Arabia’s cabinet said in a statement carried by state news agency SPA. 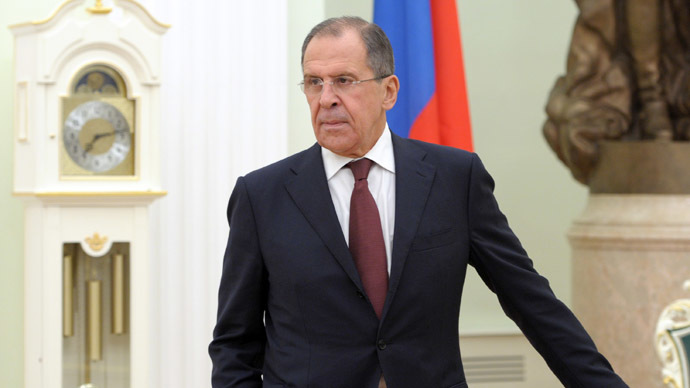 Riyadh said it hoped further steps would guarantee the rights of all states in the region for peaceful nuclear energy. However, the Saudis also expressed their discontent with how their Western allies, particularly the US, failed to brief them on the progress of talks in Geneva. “We were lied to, things were hidden from us. The problem is not with the deal struck in Geneva but how it was done,” a senior advisor to the Saudi royal family, Nawaf Obaid, said at a think tank meeting in London, stressing that the kingdom was determined to pursue its own foreign and policy goals. The official recognition of the deal by the Saudis followed the welcoming statements by other Gulf States, including Qatar, Kuwait, the UAE and Bahrain. Ankara hopes the two countries could improve their economic relations, which suffered due to sanctions, with Turkey’s Foreign Minister, Ahmet Davutoglu, heading to Tehran on Tuesday for talks on increasing trade volume and renewing energy projects. Other than coming from Tel-Aviv, rare criticism of the deal in the region surprisingly came from Hamas. “Israel will become the only country now with nuclear and chemical weapons,” said Musa Abu Marzouk, a senior Hamas official. While making Israel “feel safer,” the deal would also end Iran’s isolation, helping its economy to recover and allowing it to increase its international influence, the Palestinian argued. As the US Secretary of State John Kerry is reportedly going to visit Israel after the Thanksgiving holiday, speculation also arose, if Netanyahu would give the top US diplomat the cold shoulder. According to Israeli newspaper Maariv, there are concerns that the Israeli Prime Minister’s stance on the Iranian deal could harm the US-brokered talks with the Palestinians.